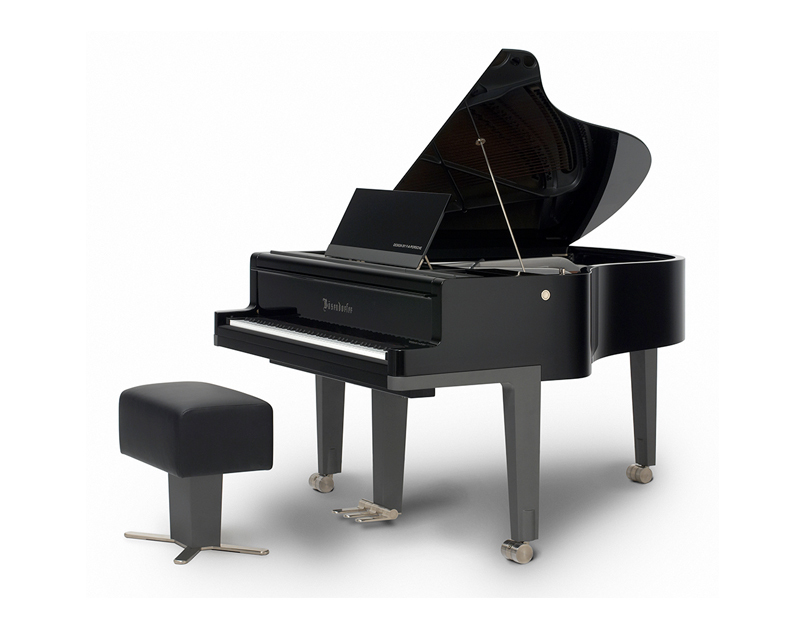 In close cooperation with the world-famous Porsche Design company, we have created a masterpiece, a contemporary approach to grand piano design. 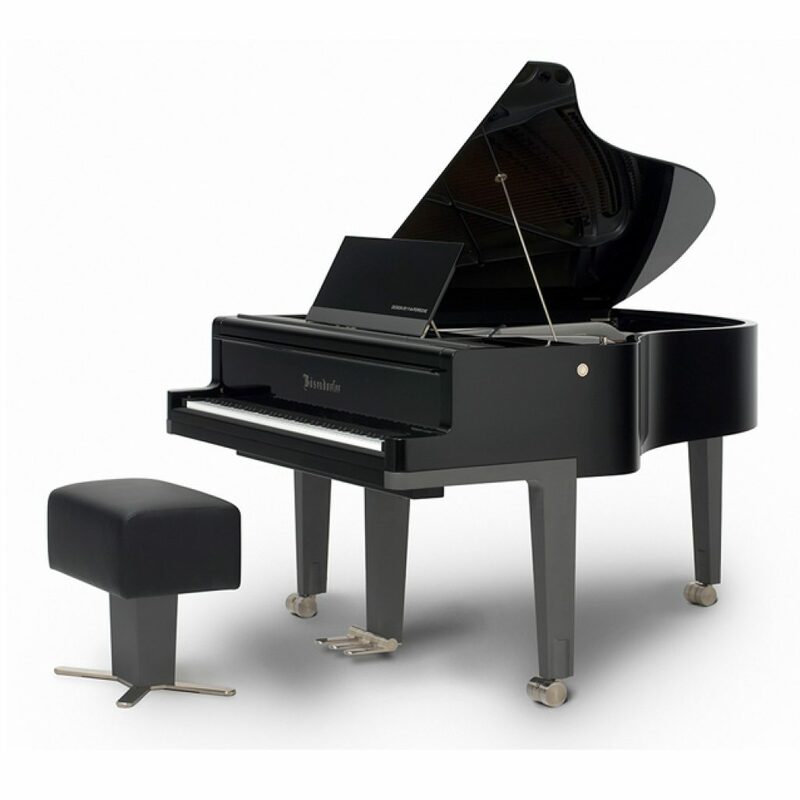 In keeping with the Bösendorfer motto – “cherish traditions, transcend limits” – this new interpretation incorporates ground-breaking new features that will have a lasting impact on the development of grand piano design. While the body of the instrument has maintained its traditional curved form, a thinner, lighter lid is inserted flush into the piano rim. The lid is made of a lightweight high-tech honeycomb material allowing it to be opened and close by a gas spring mechanism. The hinged front portion of the lid has been replaced by the front cross-cover into which a fold-out music desk has been inserted. The sound volume can be adjusted by means of two aluminium sliders placed on either side of the music desk. The music shelf is also made of aluminium. The simple shape of the lyre, which resembles a fourth leg, is of equally serene elegance, combining form and function in a masterly fashion. Aesthetics and sound in step with their times. Welcome to the 21st century.